In the latter two reviews, I voted to close as unclear what you're asking and too broad, respectively, but the questions were on-topic otherwise. The first two may be a bit too broad, but I decided to leave them open. Microsoft Excel questions are very common here on Super User and are clearly on topic as computer software questions, so please don't vote to close as off-topic. 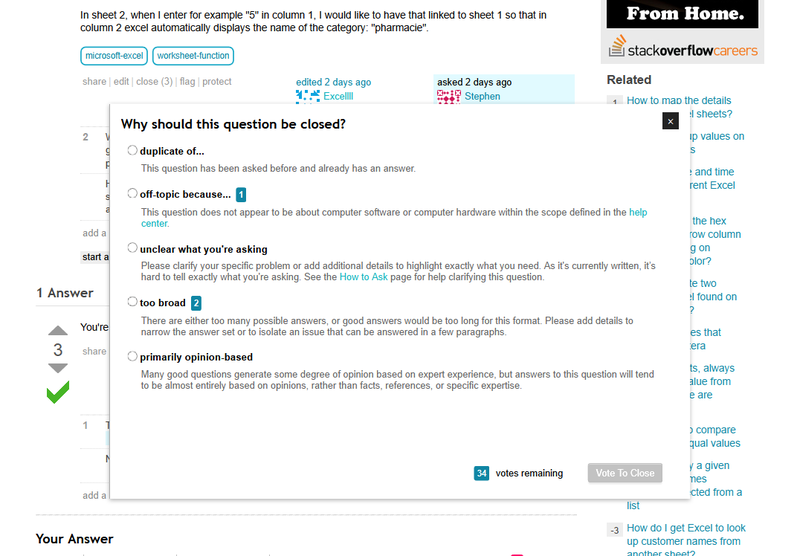 Questions that merely ask for a script to be written without showing research effort should be closed as too broad, not off-topic—community consensus is that scripting questions are on-topic but must demonstrate a minimum understanding of the problem to be solved, including an attempt at solving the problem. In addition, I suspect somebody is confusing Excel with google-spreadsheets, which is off-topic for Super User. There have been several recent questions not voted to close as off-topic that probably should have been. These questions consisted of a lengthy VBA script that was presented here for debugging, like selecting-random-entries-from-lists-in-excel-with-vba. I think these fall under the just-resurrected question are-detailed-excel-vba-questions-best-posed-here-or-on-stack-overflow. These are probably off-topic as a programming question that would be better served on SO. Other than that, I agree that someone seems to have a thing about Excel questions and has recently been flagging a number of these inappropriately.